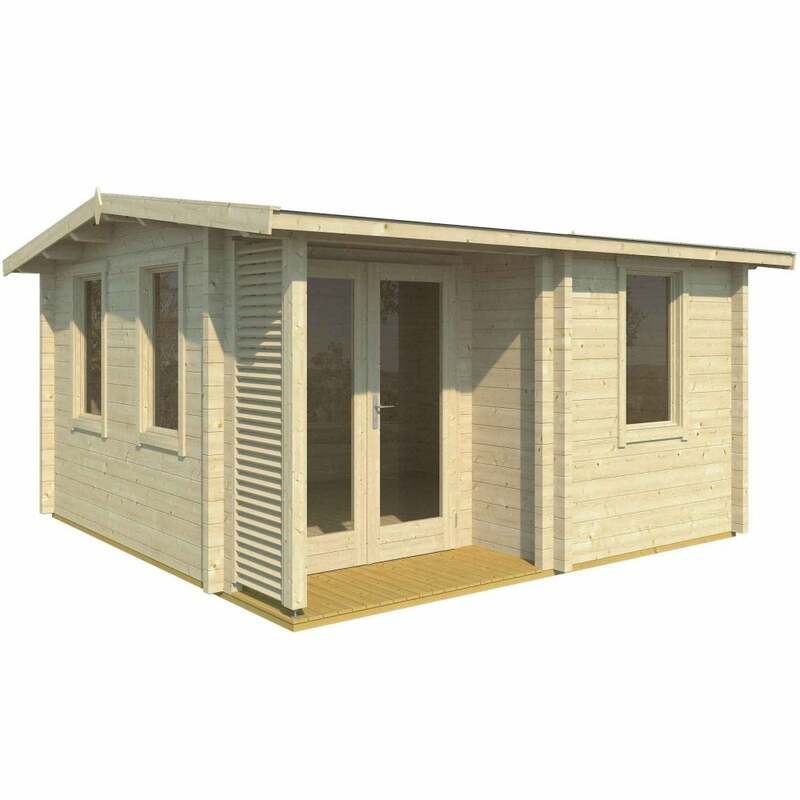 Norland Dingwall Log Cabin: The Norland Dingwall features a low-line roof ridge with plenty of glass to give a light and airy feel in the cabin. As the building is made from 70mm wall logs and with roof insulation option it is simply perfect for year round use giving excellent levels of insulation and ultimate sound resistance. This building has double glazed windows and doors featuring tilt and turn operation making this cabin ideal for efficient and comfortable year round use. There is the option to purchase roof insulation if you want to further enhance this building for use throughout the whole year. This building will be delivered in kit form and has interlocking corner joints for a classic appearance and straightforward build.